Pythonator makes Python coders out of gamers. It runs on a Minetest game server and comes with a companion PyCharm Edu course which teaches gamers how to overcome the obstacles in the game by writing Python programs. A Pythonator workshop will be held at QSITE conference 2018. Attendees should bring a Windows, Mac or Linux laptop. Android and iPads are not suitable. If you don’t already have the following software installed, please install it prior to attending. Also download the courses. Only the first course will be used during the workshop. Send an email to tim@triptera.com.au to request a free account on the server. Then you can try out the exercises on the server for a few weeks after the completion of the conference. From the Python website download Python 3.6.5. Default settings are fine during the install although I recommend users also select “Add Python 3.6 to PATH” which is unticked by default. Download and install PyCharm Edu v2018.1.2. 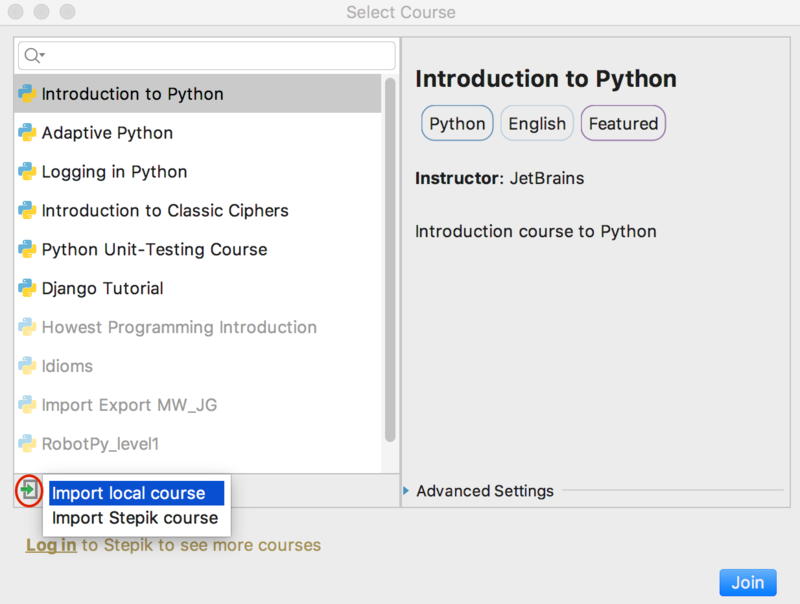 Download the Pythonator companion courses for PyCharm Edu. Do not unzip or extract the companion courses. Extract the zip file into your Documents directory so you have a folder Documents\minetest-0.4.17.1-win64. In File Explorer right-click on Documents\minetest-0.4.17.1-win64\bin\minetest.exe and select “Send to > Desktop (Create shortcut)”. Now you can run Minetest by double-clicking the Minetest icon on your desktop. This section is for users of macOS 10.13 who are uncomfortable with using the command line. If you are comfortable using the command line, or running an older version of macOS, see the next section. From the Python website download and install Python 3.6.5. Default settings are fine during the install. If you are running macOS 10.13 you can download a prebuilt version of minetest 0.4.17.1. To install, open the downloaded dmg file and drag the minetest icon on to the Applications icon. To run the first time right-click the minetest icon in Applications folder and click “Open”. There might be a security warning but you will then be able to click “Open” button. This section is for those comfortable with the Mac command line using Terminal application. I prefer installing using Homebrew because it matches the build of minetest to my version of macOS and it is easy to install updates. Type the following in Terminal to install XCode, Homebrew, Python 3 and Minetest if you have not installed them already. The last line opens the installed minetest folder in Finder. Double-click the minetest icon. While minetest is running, right-click on the icon in the dock and select “Options > Keep in Dock” to make it easier to run next time. Extract the zip file into your Documents directory so you have a folder Documents\minetest-0.4.17.1-win32. In File Explorer right-click on Documents\minetest-0.4.17.1-win32\bin\minetest.exe and select “Send to > Desktop (Create shortcut)”. If you want to run the PyCharm Edu Minetest course developed by Triptera you will need a licence. Licences are free if you are running the course in 2018. Please contact Triptera for a licence. Please provide details where you would like to use the software. The licence covers the “builder_police” mod for Minetest and the “Ninja 2 minetest course” for PyCharm Edu, both of which are available with open source. All other components are covered by free and open source licences. Support is available to assist you setting up the PyCharm Edu Minetest course. Minetest is open source free software which runs on Linux, Mac, Windows plus it even runs on Android, iOS and Haiku. At CoderDojo we used to run this course in Minecraft but have now switched to Minetest because of its many advantages. Minetest is free so ninjas don’t have to buy a Minecraft licence. Minetest passwords can be set by server op. This is much better than Minecraft which would not ask for the password when ninjas were at home, but as soon as they joined our LAN at CoderDojo Minecraft asked for their password which they couldn’t remember. Minetest can run on a LAN with no Internet access. Minecraft users would have to log in to the unreliable library wifi to enter their Minecraft password and then switch networks to our LAN to join the virtual world. Minetest is better on low budget hardware. I was running a server on a 2GB RAM Core 2 Duo Linux Mint headless (no monitor) desktop PC. Minetest has an excellent modding interface that encourages mods unlike Minecraft which obfuscates its java code to make modding harder. The Lua modding language has surprisingly good performance. I hadn’t used Lua before but I picked it up quite quickly and it is apparently common in other games which need scripting. I did have trouble getting network sockets working in Lua on Windows but eventually solved that problem. Minetest does not do mobs (monsters and other non player characters) as well as Minecraft. Mobs in Minetest are not native so have to be implemented in mods using the Lua scripting language. This has not been an issue for this course which we run without mobs for better performance. gives a player privileges to use building commands over IRC (should be automatic for new players) will show player’s list of existing privileges. sets player’s password in Minetest. Password can not be blank or contain spaces if it is to work with ircbuilder. You can even send any of these commands to the server over IRC. Send private messages to the server botnick (eg mtserver). The first message is to login. The second and subsequent messages are the same as the chat commands but replace the / with cmd. Below is an example IRC session. Replace mtuser and mtuserpass with the minetest user and password you want to connect as. The minetest username can be different to the IRC nick name. 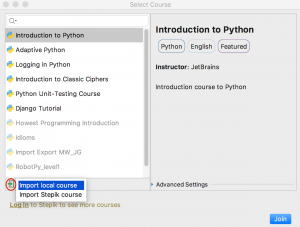 PyCharm Edu is an Integrated Development Environment (IDE) for python which has the additional ability to run courses for learning python programming. It also enables teachers to create those courses. PyCharm Edu is cross platform, running on Linux, Mac and Windows. At CoderDojo I am mentoring ninjas in coding python so I thought I would try PyCharm Edu. To create a course, I created a series of tasks. Each task is a python program with sections left out to be completed by ninjas (answer placeholders). A task has a task description to explain to the ninjas what to do, and a series of tests to determine when they had completed the task. Each answer placeholder has hints to help solve it, some text which needs to be replaced by the ninja and even the correct answer. The tasks have to provide enough information for the ninja to understand what needed to be done, but not enough that the answer was trivial. Writing the tests was challenging. The tests needed to check for all possible correct answers. For example, if the correct answer was “x+y” then I should also accept “y+x” or “y + x”. I solved this problem by using the python eval() or exec() to test the value of functions or the effect of statements rather than compare the exact characters typed to the answer. For example, here is how I used eval() to test for where the correct formula should be (x+y). When the ninja (student) is running the course they have access to a full python IDE, including command completion and debugging. As a teaching aid one of the most useful features is the console where ninjas can test individual python statements. The console has a sub-window showing variables created in the console and their values, great for teaching how variables work. The ninja can see the code for the current task and a task description describing what they have to do. In the diagram below notice the sections of code with thin rectangles around them. These are the answer placeholders that the ninja needs to replace to solve the task. They shouldn’t need to type outside these rectangles, although they can if they want to embellish the program. I did find some problems with PyCharm Edu. However, Jetbrains have been excellent at responding to my issues in this free software. PyCharm Edu is usable but expect occasional hang or lack of responsiveness. PyCharm Edu turns off a lot of menu items by default to avoid confusing new students. They can be turned back on in preferences. PyCharm Edu and PyCharm Community Edition don’t have the same support for flask or django development found in PyCharm Pro. I was still able to do some flask development. Unable to display local images in task descriptions. This feature is apparently coming in an update due in a couple of weeks. “Play” button for running tasks mostly didn’t work. However, ctrl-shift-F10 achieved the same functionality reliably. PyCharm Edu is my choice of tool for teaching python and I am sure most of the problems will be addressed in time. Do you want to learn at home how to program in python while enjoying the fun of building structures in Minetest? These instructions will help you create your own setup similar to the one used at Coderdojo. First of all, make sure you have finished the instructions for the Minetest client install and the Minetest server install. Install builder_police mod for Minetest. To configure your course platform you will need Internet access to download builder_police from github, ircbuilder python module from pypi.org, and the courses from this website. To run the course you will need Internet access to a public IRC server (e.g., irc.rizon.net) which handles the communications between your python program and Minetest. The following commands are to be typed into Git-Bash (Windows) or Terminal (Mac, Linux). Change directory to the minetest mods directory. If the directory doesn’t exist you may have to create it. Now that you have installed the builder_police mod, you need to enable it in Minetest by selecting “configure” for the world, selecting the “builder_police” mod and clicking the “enabled” check box. Download the following files without unzipping them. Safari users may have to turn off “Open safe files after downloading” in the “General” tab of the Preferences to stop automatic unzipping. Open PyCharm Edu and select “Browse Courses” from the “File” menu. Underneath the list of courses, click on the small rectangle with an arrow pointing into it and select “Import a local course”. Select the downloaded file “Ninja_2_minetest_course_v5.zip”. Once it has imported you can click on the “Join” button in the bottom right hand corner. Joining a course takes a while because PyCharm will set up a virtual environment for your python programming which doesn’t affect other python programs on your computer. The virtual environment will detect that you need the python module ircbuilder version 0.0.5 or later and give you an option to install or ignore this requirement. Choose “Install requirement”. To do the course there are some details you need to set so that your python programs can connect to IRC and Minetest. These details are all stored in a file called “coderdojo.py”. In PyCharm, go to the File menu and select “Open…”. Navigate to your home folder, the folder “PyCharmProjects”, then the folder “Ninja 2 minetest course v5”, select “coderdojo.py” and click “OK”. You need to fill in the values. Here is an example. Of course, you would need different values for mtuser, mtuserpass and channel. Save this file and you are ready to do the course. If you want to practice at home building Minetest structures with python programs, you will need to install Minetest server with its mods. Before we start, make sure you have completed the Minetest client install. Windows users will need to download the latest from https://git-scm.com/ and install. This will also install Git-Bash which is a command line shell similar to those on Mac and Linux. If it is not installed it will give an error message saying “command not found”. Mac users can download the software from the above site or install it using brew as they did with minetest. Linux users can install using one of the following if it is not already installed. The irc mod for minetest requires luasocket. This is difficult to install on windows so I have built a 64 bit version of minetest with irc mod and luasocket already built in. It can be downloaded from minetest-0.5.0-6cfd699b-irc-win64.zip. On Mac, install luasocket using brew and luarocks. On Ubuntu install luasocket using apt and luarocks. Every Minetest world in which you want to use these mods needs to have them enabled. Port number can be 6667 and Auto-connect enabled. Channels starting with ## are generally temporary channels. Remember these settings to use in your python program. Make sure your IRC server allows several connections from the same IP address. Now you can start to write programs in Python which will build structures in Minetest. Remember to install ircbuilder python module in your python virtual environment so that your program can communicate with IRC and hence with Minetest. You can do this in PyCharm Edu from Settings (Windows) or Preferences (Mac) > Project > Project Interpreter > + (and type in ircbuilder). THIS PAGE HAS BEEN SUPERCEDED BY Pythonator at QSITE WHICH HAS UPDATED VERSIONS OF EVERY PIECE OF SOFTWARE DESCRIBED HERE! At CoderDojo this term we will be learning to program in Python 3 to build structures in a Minetest world. Minetest is a free, open-source, high performance Minecraft clone that is easily modded. There already exist mods which allow chat commands to be executed over IRC (Internet Relay Chat). I have created a Minetest mod (irc_builder) to add chat commands allowing us to build structures using those commands. I have also created a python module (ircbuilder) which sends commands through IRC to the Minetest world. 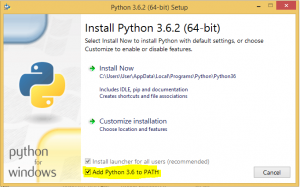 Windows or Mac: From the Python website download Python 3.6.4 or later. 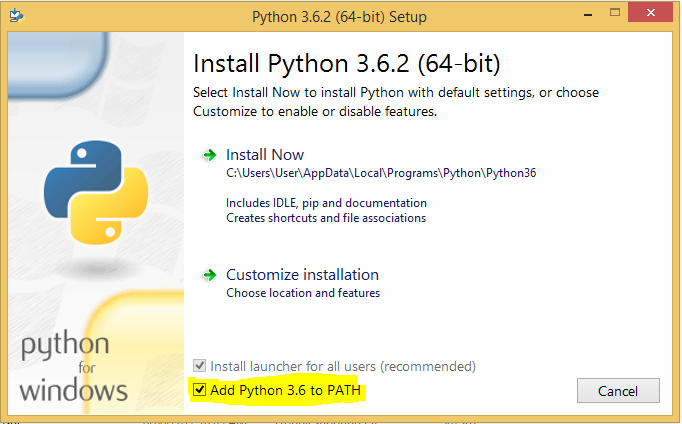 Install it using the default settings, plus select “Add Python 3.6 to PATH” which is unticked by default. PyCharm Edu is a free open source integrated development environment (IDE) for Python, better than IDLE which comes with Python. It also can guide students through a course of lessons and tasks, providing hints and checking on tprogress automatically. You can install minetest client without any mods as server mods only need to be installed on the server and then every client can use them. Minetest can be run by typing minetest on command line.